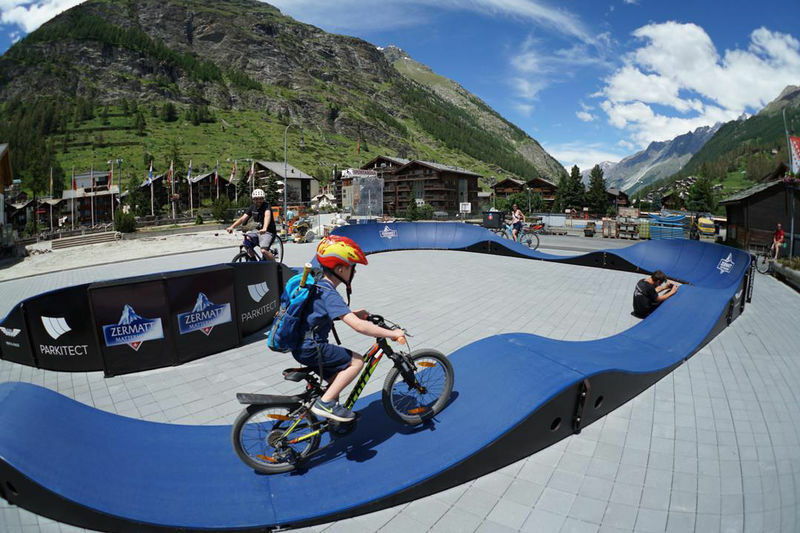 The pump track is a fun way for children and even professional riders to practice. Children can discover the sport of mountain biking for themselves and do their first circuits of rollers on the pump track. Experienced mountain bikers can test their stamina, strength and speed on the pump track, whilst simultaneously practising and improving their technique, skill and sense of balance. Do not overestimate yourself! The use of the system is at your own risk. The operator shall not assume any liability. Respect the other riders and always maintain enough distance. Wearing a helmet on the entire facility is mandatory. Suitable protective gear is recommended. The use of the pump track is only allowed with non-motorised equipment (bikes, scooters, skateboards and inline skates). Keep the pump track facility and surrounding area clean by disposing of your waste. Thank you! Please respect the residents as well as the community’s quiet times. 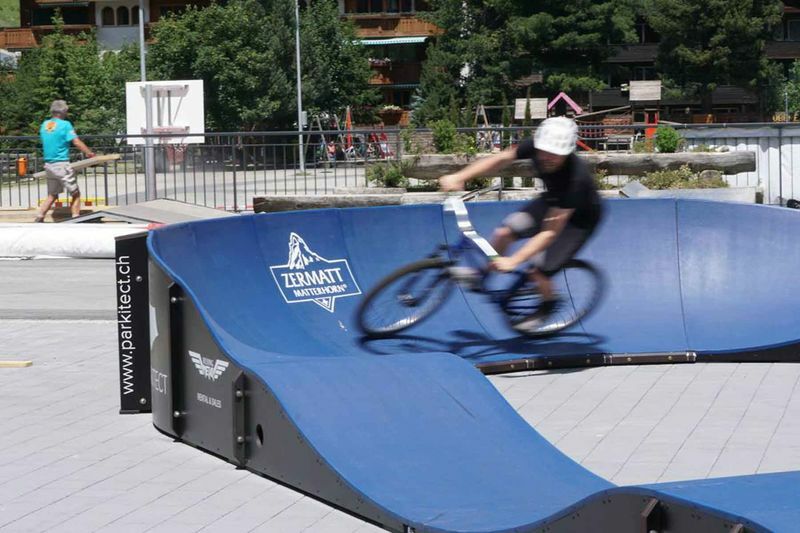 The mobile pump track is an initiative by the municipality of Zermatt and Zermatt Tourism.